H2S was a navigation aid to identify the target at night. 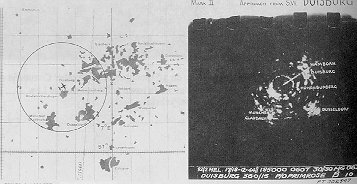 It was to provide a radar image of the ground and allow navigators to pinpoint where they were on a raid. You judge the effectiveness by the H2S photos compared to the map. Dusseldorf taken 2/3 Nov 44. 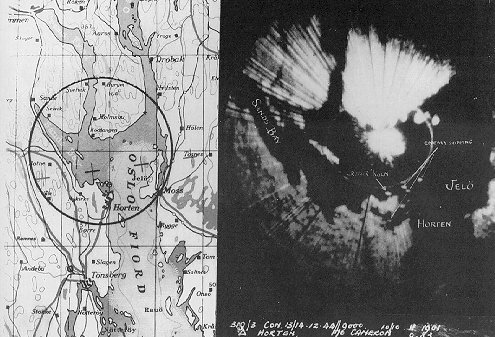 The majority of H2S images over the Rhur were nothing more than an unhelpful blob. 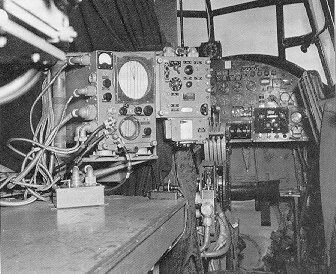 One problem that constantly plagued Bomber Command was finding the target. 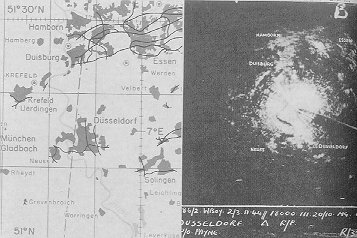 This is the same area of Dusseldorf taken on 17/18 Dec 44. The image was more distinct. Hamburg, being near the coast, with the Elbe River, Aussen Alster and the docklands giving a distinctive return. A good H2S target. 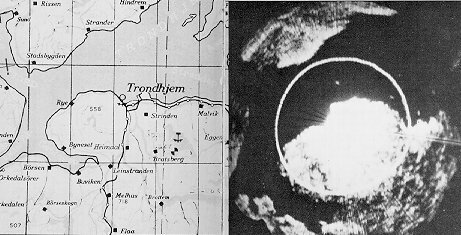 A example showing Trondhjem, which is the big white area in the centre.